At our Skrill FAQ section, you find all important information and answers to your Skrill account, verification, rewards and security. If there is anything important missing, please contact us . Skrill, former “Moneybookers” (MB), allows you to transfer your money fast, safe and cost efficiently. With your award winning eWallet you are able to access your funds easily with the Skrill PrePaid MasterCard, to move your money to merchants, pay at more than 130,000 merchants worldwide. Everything free as a Skrill VIP. Skrill (Moneybookers) is growing very fast. Thanks to their simple and efficient paying solution more than 35,000,000 people use their eWallet service already. Moneybookers (MB) is an e-commerce business that allows payments to be made through the Internet. For individual users, MB the payment system offers an online deposit account and a low-cost, internet-based alternative to traditional money transfer methods such as cheques, money orders and wire transfers. To merchants, MB allows accepting online payments made with major payment cards or Skrill’s own online accounts. The MB payment system is owned and operated by Moneybookers Limited, a UK-based company registered as a Money Service Business with Her Majesty’s Revenue and Customs, regulated by the Financial Services Authority and licensed to operate within the European Union. As of 2012, the system is in the process of being transferred to a sister company Skrill Limited (registered in 2010 at the same address) and re-branded as Skrill. In the last two years Skrill (Moneybookers) proves his claim to be one of the fastest growing e-wallet services in the business. With more than 55,000,000,000 EUR processed transactions and more than 35,000,000 users worldwide they almost doubled their amount of users as well as transactions in just two years. In February 2010, The Sunday Times ranked Moneybookers as the fastest growing private equity backed firm in the United Kingdom based on profits. Skrill has been recognized twice for its leading position in the online payment industry by scooping two awards for the ‘Best Payment Solutions Provider Company of the Year’ award at the International Gaming Awards 2013 and the ‘Best Payment System’ at the iGB Affiliate Awards. 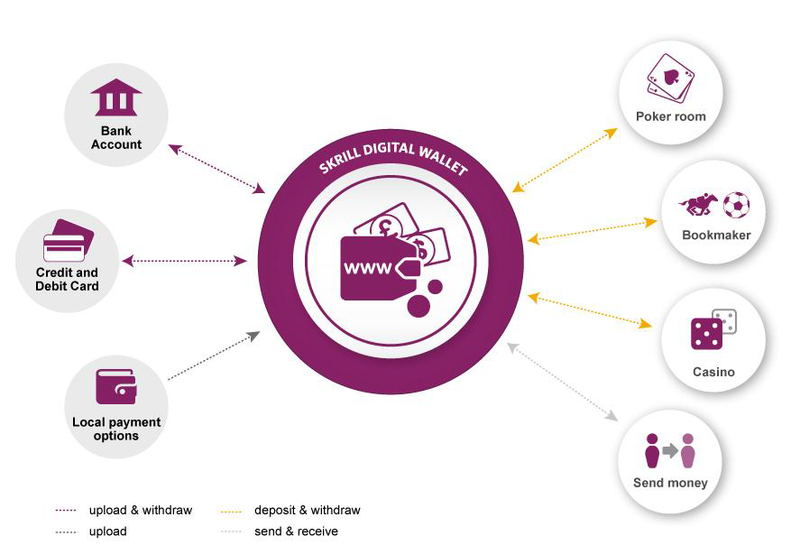 Please follow our Skrill registration instruction to register your first or additional Skrill account and secure the highest bonuses and Skrill cashback available on the net coming with our free eWallet-Optimizer membership. Even for customers who are not Skrill VIP the fees are much lower compared to its competitors. Transfer to merchants: Free for almost all transfers to merchants. Transfer to other Skrill customers (peer-to-peer transfers): 1.9% fee; capped at 20 EUR. Skrill Security Token (2FA): free mobile app. Cash withdrawal at ATM with Skrill MasterCard: 1.75%. Bank transfer withdrawal: 5.50 EUR. Credit Card withdrawal (VISA): 7.50%. Currency exchange fee (FX fees): 3.99%. Skrill is free to signup and use. In case you do not use your Skrill account for more than 12 months, there will be a service fee of 1 EUR per month taken from the account balance. Transfer to merchants: Free for most; please check the detailed fee list of Skrill. Transfer to other Skrill customers (peer-to-peer transfers): 1% fee; capped at 10 EUR for bronze VIPs and 1% capped at 2 EUR for silver VIPs and higher. Cash withdrawal at ATM with Skrill MasterCard: free as silver VIP and higher. Bank transfer: free as Skrill silver VIP and higher. Credit Card withdrawal (VISA): free as Skrill silver VIP and higher. Currency exchange fee (FX): 1.99-3.79%. Please check our detailed article about the Skrill PrePaid MasterCard for detailed information. Please check our detailed article about Skrill Security to learn everything about the safety and functionality of the Two-Factor Authentication. Check our Skrill VIP information page for everything about the Skrill VIP status. There are plenty ways to reach the Skrill support. As a Skrill VIP you can reach the Skrill support team 24/7. The easiest and fastest way is to call the VIP team at +44 (0) 203 608 1406 or to contact them via their Twitter account “ask_Skrill“. In any urgent case regarding your Skrill MasterCard, please call +44 (0) 207 117 6017. If your issue is not that urgent, you can also send an email to vip@skrill.com and can expect an answer within 2-3 business days in average. If you prefer to get more personal help faster, you can also write a support ticket at the Skrill Customer Community. Regular updates about promotions, exhibitions the Skrill team attends and competitions. Regular updates, almost same to news on Facebook. Rare twitter news, but very informative about Skrill VIP offers, promotions and changes. As a member of eWallet-Optimizer, we will take care of your urgent and important Skrill issues. With our excellent contacts we can help you get them solved faster and provide you with solutions personally. Please have a look at our regularly updated Skrill USA page to find more about the actual situation and possibilities for players, users and Skrill affiliates from the US. Skrill Affiliates as well as personal Skrill users can earn commission for referring new customers to Skrill. 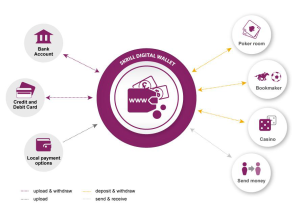 Please check our Skrill Affiliate page for more information and contact us if you want to find out how to benefit by referring new Skrill clients to eWallet-Optimizer.